The riots that broke out in Tottenham, north London, on the night of Saturday 6 August, and again over subsequent nights, spreading first to communities across London, and then to cities around the country, represent the spontaneous anger of broad sections of working people, particularly the poorest and most oppressed, at police violence, racism and the increasingly intolerable burden of the capitalist crisis that they are being forced to carry, not only through cuts but also through high unemployment and dead-end jobs. Until now the British working class had been relatively quiescent in the face of increasing police repression and worsening living conditions and social provision, but the events of the past few days have changed all that and shown once more the fighting spirit of the British proletariat. Young working-class people in particular have shown that they are not prepared to lie down indefinitely while they are kicked like a dog by the lickspittles of the British ruling class. The immediate catalyst for the riots was the police shooting of Mark Duggan, a 29-year-old father of three, who was killed by police in the early evening of Thursday 4 August in the Tottenham Hale area as he was on his way home to the nearby Broadwater Farm estate by minicab. Mark’s killing was reportedly part of a planned police operation, forming part of Operation Trident, which is supposedly directed at ‘gun crime’ in the African Caribbean community, and was carried out by CO19, a specialist firearms unit. As is generally the case in instances where a member of the public is killed by the police, initial reports emanating from the police are contradictory and untrustworthy. The police will naturally seek to cover their tracks and, in best mafia style, cover for one another. The bourgeois press can also be expected to play its part. The ongoing News International scandal has shone a light on the corrupt relationship between the police and the media, who are both, at the end of the day, servants of the same billionaire masters. We have seen such police lies and cover-ups again and again, from Blair Peach through to more recent cases, such as those of Jean Charles de Menezes, Ian Tomlinson, Kingsley Burrel and Smiley Culture. As a result, families of the bereaved in particular, and working-class communities in general, know that they cannot rely on the police for truth or for justice. They are learning that they need to organise and fight back. 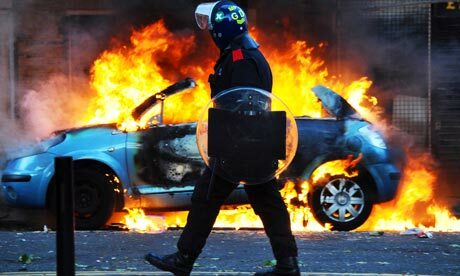 In the case of Mark Duggan, the police initially claimed that one of their officers only escaped serious injury because his radio got in the way of a bullet. However, on 8 August, the Guardian reported that initial ballistics tests have shown that this bullet was police issue. Far from there having been an exchange of fire, latest reports suggest that the only non-police issue firearm found anywhere near the scene was concealed in a sock and therefore not in any way ready for use. Equally importantly, no non-police issue firearm has as yet actually been produced at all. Independent eyewitness accounts refer to Mark being pulled from his cab by police, held down and shot in the face more than once at point-blank range with a Heckler & Koch MP5 sub-machine gun. “Laurence Bailey, who was in a nearby church, described see-ing the girl throw a leaflet and what may have been a stone at police. It was following this vicious assault on a teenage girl that groups of young men reportedly started to attack police cars. Whilst the shooting of Mark Duggan provoked the initial protests in Tottenham, the subsequent riots reflect the hatred felt towards the police in black, working-class and poor communities throughout London and up and down the country, as well as the anger and despair engendered by grinding poverty. They are a spontaneous protest against deaths at the hands of the police, stop and search, which is running at record levels, poor educational and health provision, poor and overcrowded housing, lack of amenities (in the borough of Haringey where Tottenham is located, eight out of a total of 13 youth clubs were closed just last week) and unemployment (Haringey has one vacancy for every 54 jobseekers). Predictably, much is made of the acts of looting that are an inevitable feature of such spontaneous outbursts. However, they should not be allowed to detract from the main character of the events, namely a justified revolt against police killings and repression, racism and poverty. Moreover, it is capitalist society itself that flaunts its luxury goods at the poor, sending out a message that you are scarcely human if you don’t possess a flatscreen plasma TV and the latest designer labels, while at the same time depriving masses of people of jobs, or paying wages too miserly to enable these goods to be bought. “A group of young men emerged from Haringey and Enfield magistrates court wielding hammers. Of course, politicians from all the bourgeois parties have rushed to condemn the protestors as criminals and have promised nothing but increased and more brutal repression. Hundreds have already been arrested. Yet it is the worthies of the Conservative, Liberal Democrat and Labour parties who, in the service of the British capitalist class, are the real criminals, presiding over class war at home and imperialist war abroad. It is important to note that the black Labour MPs have been no less vociferous than any others in branding their constituents as criminals and calling for increased police repression, including not only Tottenham MP David Lammy but also Hackney’s Diane Abbott, darling of much of the ‘left’ and erstwhile heroine of the opportunist ‘Black Section’ movement in the Labour party. These parasitic scoundrels owe their petty positions and place precisely to the earlier struggles of the black communities they now openly despise. This is a salient reminder that what is at issue is not a race-based struggle that can in the end only benefit a thin layer of opportunists who seek to jump aboard the bandwagon, but a struggle against racism and capitalism in which all working people, whatever their skin colour, have a stake and should play their part. Another darling of the left, Ken Livingstone, has made much of his own record of increasing police numbers while he was in office as Mayor of London, and has no doubt endeared himself greatly to senior Met officers by using the unrest in London as an excuse to demand that the government ditch its planned cuts to the police force. Events of recent days have shown once again that poor working-class communities know fully well that the police are not a neutral or benign body dedicated to serving the community and helping old ladies across the street, but a ruthless gang of thugs dedicated to violently upholding the rule of the rich. To put it in Marxist terms, they are a special body of (increasingly) armed men, whose job is to enforce the dictatorship of the bourgeoisie. The young people on the streets are also learning a lesson that the capitalist class would very much rather they quickly forget. Namely, that if enough people rise up simultaneously and in enough places, there is not much the ruling class can do to stop them, since the police and others who make up the forces of the state are actually very few in numbers compared to the masses of the working class. The crucial lesson that the working class urgently needs to learn is that the real source of their misery and frustration is the capitalist system of production. This system is kept in place by the hirelings of a handful of billionaires, who grow richer by the hour while pressing down hard on those who work to create those riches. As economic crisis threatens the billionaires’ profits, they are pressing even harder, reducing to a minimum and below not only workers’ wages, but also the social benefits they need, while being quite unable to provide work for millions more people who need a decent job. Communists support and defend the oppressed when they rise up, but we have seen massive uprisings before, generally in the same communities as current events, for example in 1981 and 1985. But so long as capitalism remains in place, it continues inexorably to impoverish the working class; and overthrowing capitalism is impossible without conscious organisation for that purpose, for which trustworthy proletarian leadership is required. So long as capitalism remains in place, the real gains of workers’ struggles, however magnificent, are transient and reversible – precisely why the events of previous years are being repeated today. Communities certainly need to form themselves into self-defensive bodies to resist the police and other agents of bour-geois repression. But above all the working class needs its own general staff, which can lead not only in defensive struggles but also in the struggle to overthrow the increasingly criminal rule of the bourgeois class of heartless billionaires whose system treats the millions of working-class people as vermin. This general staff can only be a communist party, guided by the science of Marxism Leninism: the accumulated wisdom of more than a century and a half of struggle by the working people of the whole world. 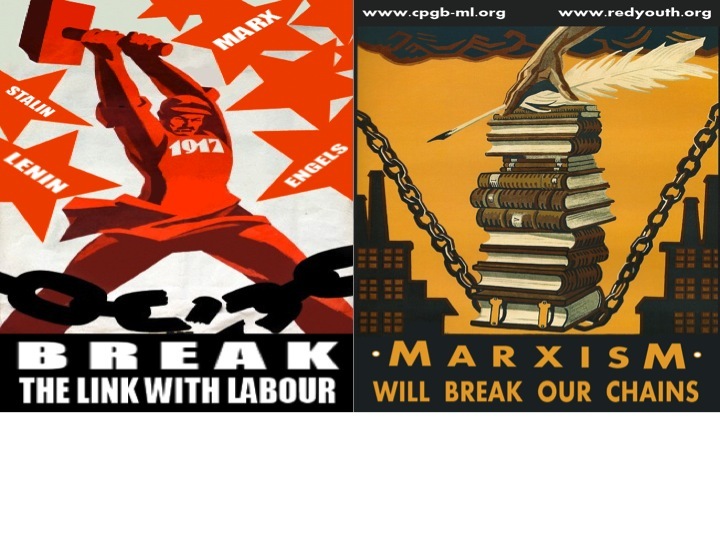 The CPGB-ML is fighting to build such a party and welcomes class-conscious people to join its ranks. 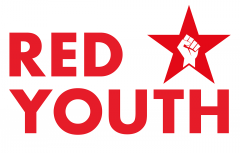 With your help, we can organise to enable the working class to seize power and build a new society where it is the interests of working-class people that will determine what we build and how we live, rather than the requirements of the rich to make profits.